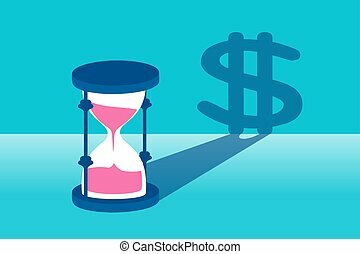 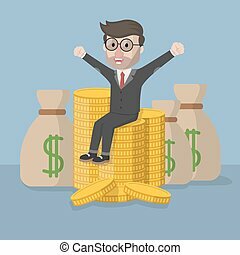 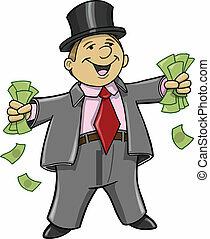 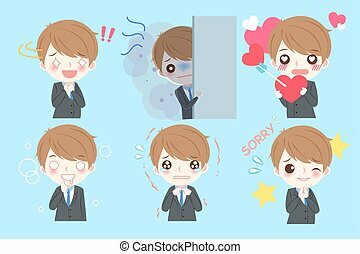 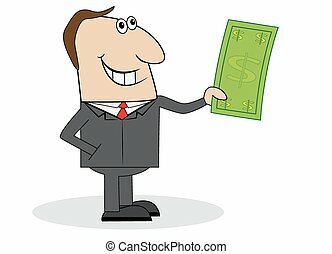 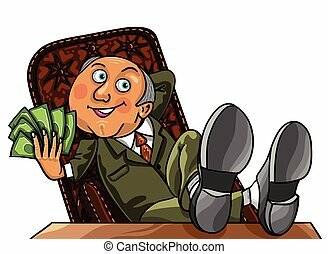 Cute cartoon business man with money on blue background. 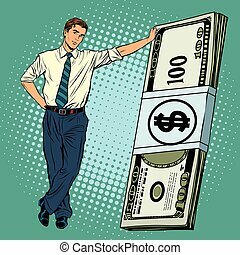 Business man with money in his hands on white background, vector illustration. 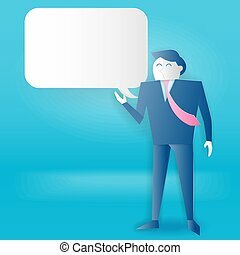 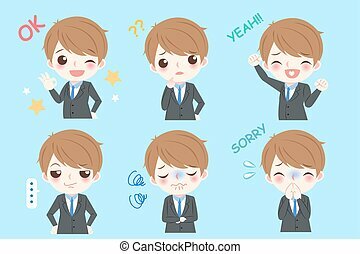 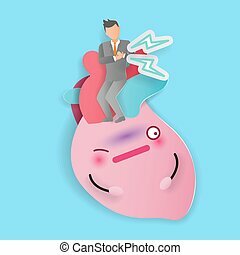 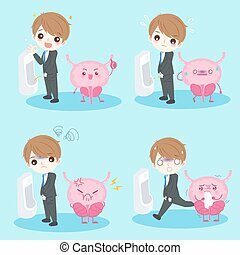 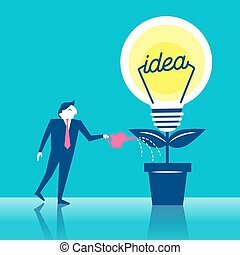 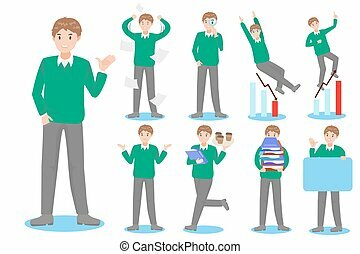 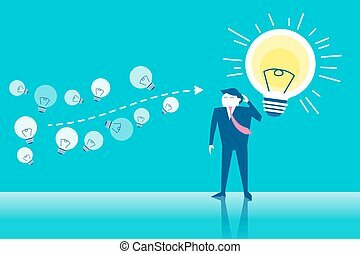 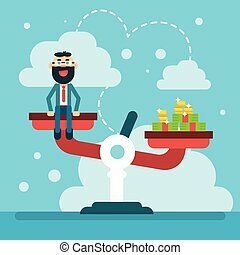 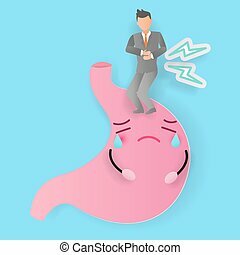 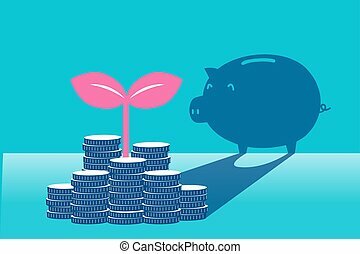 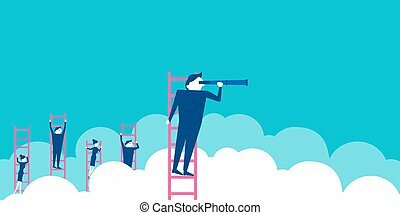 Elements are small icons Finance make in business man with money shape good/ ok .Vector illustration. 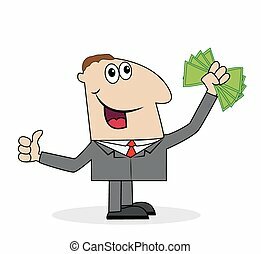 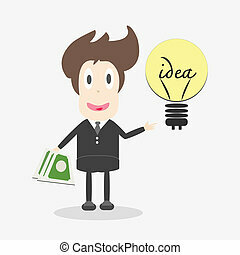 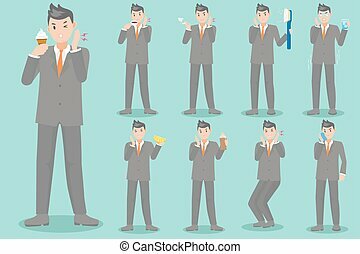 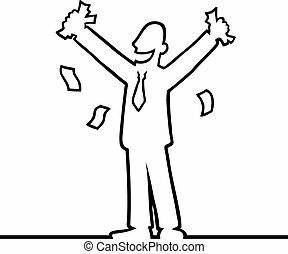 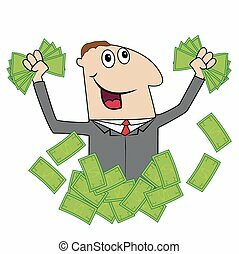 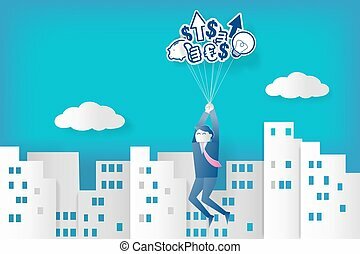 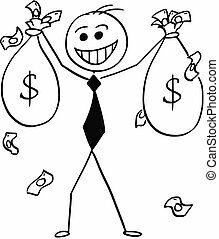 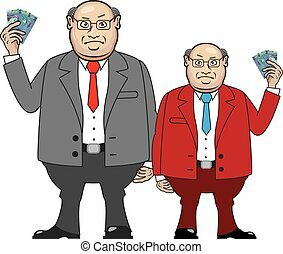 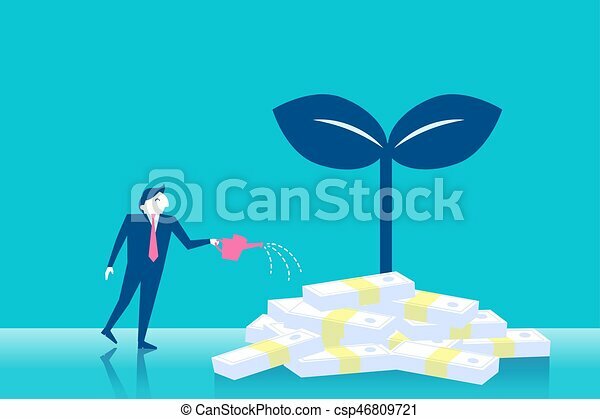 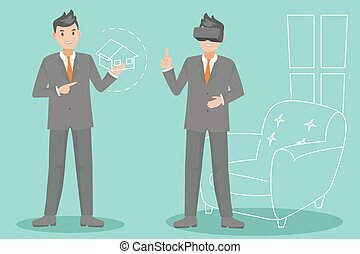 Cartoon stick man illustration of smiling business man businessman with money bags in raised hands.